Modern office workers find it increasingly difficult to imagine the era that existed before computers began to invade almost every business function, but older organizational habits die slowly. Many businesses tend to treat their computers and networking equipment as just one more set of machines to be maintained by the same support personnel who repair copying machines, fix broken drill presses and replace burned-out light bulbs. Notwithstanding the persistence of outdated attitudes, information technology (IT) infrastructure is special. Even as computer technology affords great power to leverage core business competencies and to greatly reduce or eliminate costly manual labor, it also brings oftentimes underestimated fragility and vulnerability. While uncommon these days in most industrialized countries, sudden power failures can abruptly bring vital business processes to a grinding halt, and extended power failures can wreak havoc on critical information processes and the integrity of irreplaceable databases. Furthermore, the majority of businesses can’t afford extensive security measures, and a stolen server might mean the loss of critical accounting records and customer databases. Limited bandwidth availability at a local office might mean sluggish internet communications, potentially driving away customers and digging into profitability. When utilizing our state of the art colocation facility you are able to control your hardware, software and networking to your needs without worrying about the supporting infrastructure. In doing so, you will immediately recognize tremendous savings while also getting peace of mind that your equipment is hosted in a SSAE-18 SOC 1 & SOC 2 certified, 100% green, secure facility. Have you ever heard of colocation? Did you know it is a GREAT way to grow your business?. You get the benefits of the Cloud, along with the performance and security of having your own servers and infrastructure. 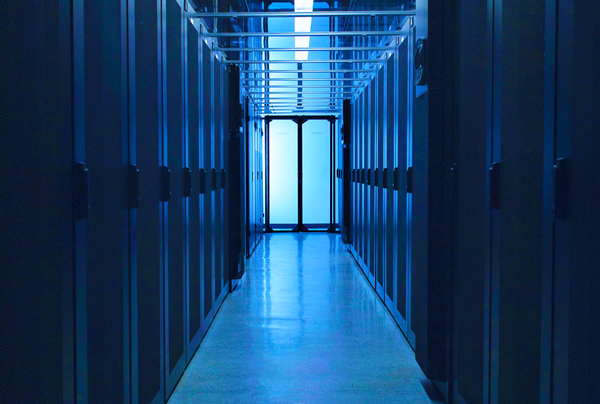 To sum up colocation for you, it’s when you utilize a data center to house your servers. This could be one server all the way up to a full rack of servers. Here at TurnKey Internet, we have several clients who lease several racks from us that house their entire IT department and infrastructure. When you have a small to medium size business, chances are you can’t afford to spend large quantities of money on your IT infrastructure. This could be everything from hiring a full-time IT engineer, to setting up your own network infrastructure. The prices you would pay could exceed what you have budgeted for your business. For example, one of the most expensive items with owning a data center or housing your IT department will be the power. The power that each server uses. The power to keep the servers running 24×7. The power needed to run a generator or battery backup in case your office encounters a power failure. Power is just one example to use, but I used power to show that you may not know the amount per month you will be spending on just power alone. Factor in setting up redundant network, bandwidth pricing or the amount you have to pay your IT engineer to keep it running and your business could be looking at well over six figures. Does your office or business currently have enough space within it to run your IT department? Keep in mind that you will need ample space for the servers themselves. You will also need room to bring power into your business to run the servers. Don’t forgot about cooling, batteries and a plethora of other options you will need to run your IT department. Do you currently have enough space in your business for those services? If not, colocation could be a great option, as all you would need to do is send your servers to the data center. They will take care of spacing and power needs. You wouldn’t have to worry about your office overheating from 20 servers running and not enough room to disperse the heat. You could also include this under cooling. While this is by no means an all inclusive list of the benefits of colocation, it should at least provide you with a starting point to determine if colocation is right for your business. Click Here to see just how Colocation with TurnKey Internet can help your business! – 3 MONTHS FREE! In the late 80s /early 90s times where starting to change, this wonderful technology era we live in now was just beginning. Businesses now, need to be online in order to stay competitive and grow with this new age. 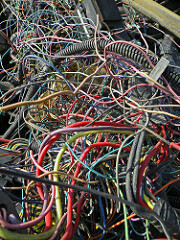 Like most business a Server Room was built, in a spare room or space in your office or home and today now resembles a pile of mis-colored wires that you could spend days trying to untangle. You purchased equipment that easily fit into your budget, and your team was able to configure the networking without any troubles. This setup was the same in all business across the board. In the beginning of this era, you could get away with this. There was no thought of cooling systems or ventilation. No notion of backup power systems, or any real working order was to be found in your Server Room. Once again, the era of technology has changed. Businesses need their operations to run with super speeds, be secure, maintained, monitored, and most of all be redundant. The terms Server Room and Data Center could once be used interchangeably, no longer can they now. A Server Room can be any room, in any building that houses servers. Whereas a Data Center, is a whole building designed to support and provide a secure, power protected, environmentally controlled space, used for accommodating servers, networking, and computer equipment. Some of the key points to a Data Center, a Server Room does not have. Most Server Rooms do not have a high volume of security. Besides the buildings overall security, there may be a lock on the Server Room door. Data Centers pride themselves in the security features they offer. All entrances and exits are secured with a key coded entry system, as well as alarms. Not just alarms for entry. Alarms for temperature control, air pressure, fire / water control, ect. All Data Centers have network cameras, accessible to their staff and security team in a needed event. The cores / racks the servers are housed in are all locked. Only opened when your team needs to visit or by the Data Center staff, if needed. What good is your server if you have a fixed bandwidth rate? Most Server Rooms are capped off by their ISP as they are using a residential internet service. Data Centers do not use any type of residential internet service and most times are able to set the bandwidth limits as they are needed by the server. If there is a power failure at your business, do you have a backup power plan? Most Server Rooms run from the same power source, as the full office. Making your sites and servers go down if there is ever a power failure. Data Centers have a plan for any type of failure. When it comes to power failures, most Data Centers have battery backups, automatically triggered if the main power supply is not responding. When the system sees the backup batteries are being utilized, another backup power source is engaged, the generator. At this point the battery backups turn off and all power is controlled by the generator until normal power is restored. 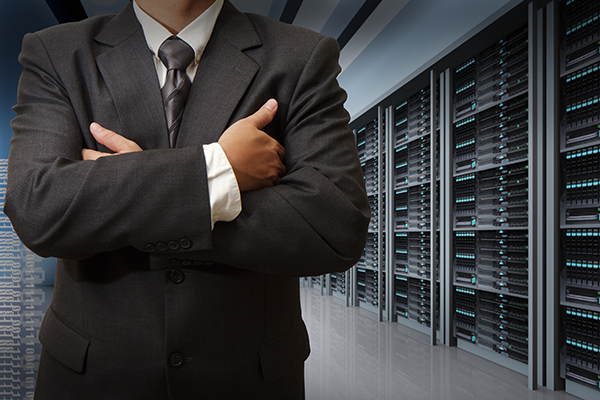 With a Server Room, you are accumulating all the costs that go along with it. You may have had to cut advertising short or possibly even lay off good employees as the costs to maintain and house your equipment have risen. 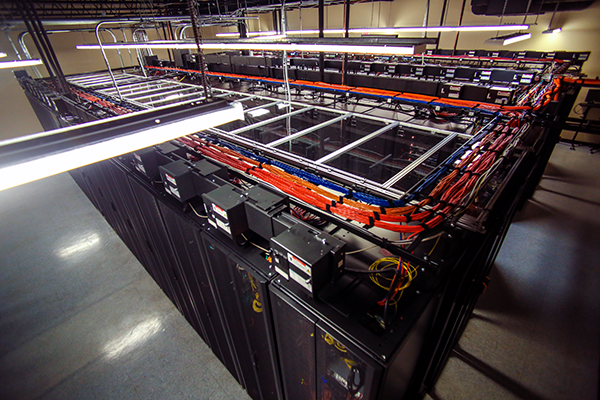 At a Data Center all those costs are tied into your package and at a much, much lower cost. Our offices do not look anything like they did 20 years ago. Our businesses are not what they were 20 years ago. Most companies have employees living all around the world, remoting in for work. Your administrative staff is no longer dependent on white out, typewriters, and filing cabinets. You attend conferences and meetings by using a phone, tablet, or even your watch. The majority of your business is conducted over email and most of your sales are placed through your website. In order to keep up with these growing times, we now need to ditch the Server Room and head to the Data Center. Earlier on the blog, I wrote to you about having backup software. I compared having backup software to having car insurance. You never know you need it until you actually need it. Does that make sense? I hope that last line wasn’t too confusing. Well, I have another question for you to start this article. Do you currently have any monitoring software for your server? Now, you may be asking, “what if I bought a reseller or basic hosting account? Is that only ping monitored?” In our system, all our reseller and hosting servers have another level of monitoring attached to them. This includes ping monitoring, memory monitoring, drive space monitoring, snmp monitoring, and bandwidth monitoring to just name a few. We also can setup content checks. That means we can setup a monitor that will look if a site contains a word or piece of text. If it doesn’t find the word, the server will alarm for us. You may be asking why? 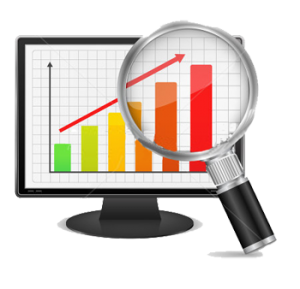 Why write an article on monitoring software? Well my friends, in slaying tickets each week, I come across many different issues across different clients. Some of these issues could have been prevented and others would have had a smaller impact if preventative measures were taken. Let me give you an example to really drive this one home. Let’s say you have a website named, jeremysdomain.com and purchased it directly from Turnkey Internet with a dedicated server. Your site will be used to as a life force for your business. You will take orders online. You place promotions online among other items. Next thing you know, you go to your site and it doesn’t load. In fact, it just times out completely. You can still ping your server, but your site is fully off-line. You open a ticket with the helpdesk and they inform you that your server is overloaded due to a large spike in bandwidth. This resulted in your server running low on memory and your server crashing. The engineers fix the issue and inform you that you may want to consider some monitor software that will constantly check to see if your server is having issues other than a failed ping. The entire process takes about an hour to get the server back online. 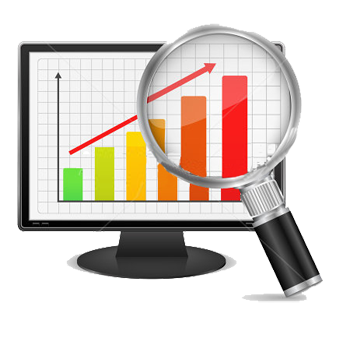 Let’s look at the situation with monitoring software. You start a promotion on your website. As your promotion gets into full swing, you receive an email notification stating that your server is alarming for multiple items. The engineers inform you that your bandwidth is beginning to max on the server which results in your server running low on memory. The engineers schedule a time with you to take the server offline and increase the memory in the server. Your site is down 15 minutes for the upgrade and back online within minutes. Your promotion never skips a beat and your customers never even notice the issue. Do you have monitoring software? If not, go to http://turnkeymonitoring.com/ and you can see some of options available to you.